Thank you for showing interest in presenting a workshop for RUYC. The date of the conference will be January 31st, 2019. The theme of the RUYC this year is Alumbrando la Oscuridad (Shining Light on the Shadows) so our focus will be mainly shining a light on Central American migration. Our objective of this conference is to bring awareness to the social issues that have and are currently affecting the Central American communities. 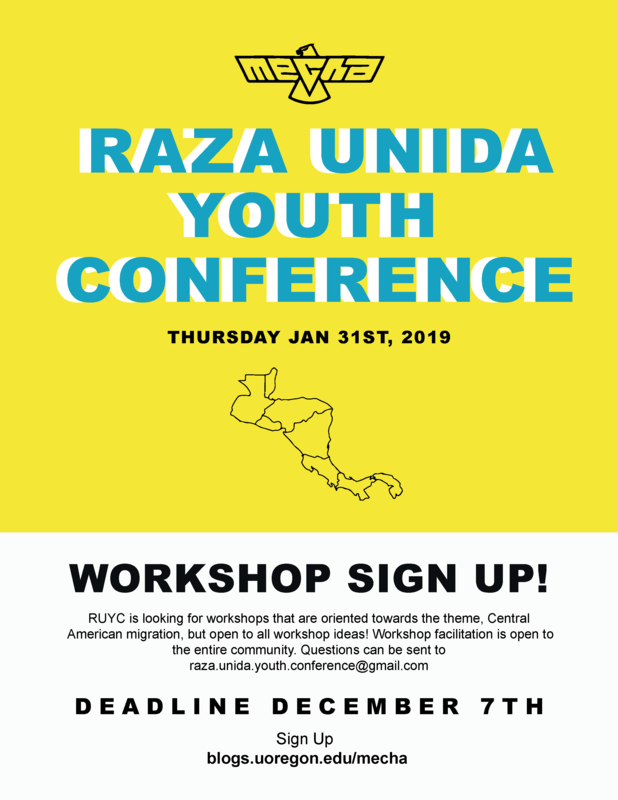 Although we encourage a different variety of workshops, we highly encourage workshops on these issues including TPS, Mexican hegemony, and separations of families, etc.